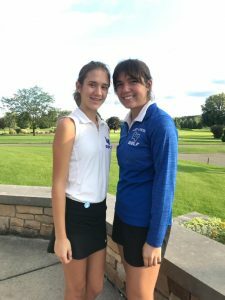 The LaVille Golf tandem of Taylor Garrett and Elizabeth Howard played host to Tippecanoe Valley. The match was played at Swan Lake and the Vikings also had a pair of players. Howard shot a 65, and Garrett carded a 66. The Howard-Garrett duo combined for 131, while TV combined for a 133. “The girls played well,” said LaVille Coach Lindsay Garrett.